Welcome! Best Shark Tank Products was designed by a group of Shark Tank fans to bring those creative innovations to life and make them more accessible to other fans of the show. Not familiar with the show? In a nutshell, Shark Tank is a competitive reality show that features aspiring entrepreneurs pitching their ideas for inventions and brands to a panel of judges, hoping to win the investment they’ll need to get their ideas off the ground and into the market. 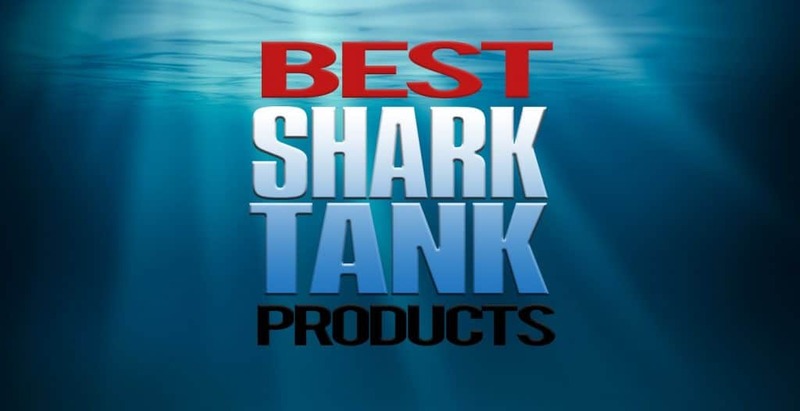 Here at Best Shark Tank Products, we focus on the most successful products from Shark Tank, providing a reference guide for the history of the products featured on the show. It might be hard to believe that so many products that seem like a normal part of everyday life for Americans would not be on the market if not for the investment and guidance from Shark Tank staff. That’s why we want to keep an organized database for so-called “regular people” to refer to. Please be aware that no company or brand ever pays or endorses us for a good review on their product, much less a bad review on a competitor’s product – these are just honest reviews and opinions from real people living real, everyday lives. Check out our list of the Top 12 Shark Tank Products of 2018 to get an introduction to some of the best products we’ve seen yet – and maybe you’ll find just the product that you never knew you needed in your life! Also be sure to check out our selection of the best shark tank weight loss products! Have you ever dropped spare change or french fries into the bottomless black abyss between your car seats? Suffer no longer with the Drop Stop car seat gap filler! It simply wraps around your seat belt anchor and fills in that pesky gap between the seat and the center console. Not only is this genius invention super convenient, it’s literally a lifesaver. Co-founder Marc Newburger came up with the idea after a life-altering experience. As the designer told Shark Tank, he was just driving one day when his cell phone rang, and the vibrating alarm caused it to slip in between the gap. When reaching down in the gap to recover his cell phone, Newburger narrowly missed a pedestrian and a telephone pole going 40mph! After this moment, he knew that something had to be done to prevent drivers from dealing with this dangerous distraction. Not sure if you need it? Well, for only $20 for a pair, you won’t regret the investment. Self-proclaimed “America’s favorite sponge,” the Scrub Daddy sponge company experienced immediate success after their time on Shark Tank. These sponges are renowned for their revolutionary “flex-texture” technology, meaning that depending on the temperature of the water, the sponge will alter its texture. In warm water, the sponge is soft and squishy to gently soap up dirty dishes, but in cold water, it remains tough and firm enough to scrub off difficult messes – and it will smile cheerfully at you the whole time! These adorable scrubbers have become a must-have in homes all over the country for their high performance, affordable price tag, and hygienic, odor-resistant design. If you think this little guy is starting to wear out, simply toss him in the dishwasher to sanitize. The Scrub Daddy design has expanded to incorporate different shapes, sizes, colors, and scents, so you can be sure to find the perfect match for your home! The online-only athletic sock company, Bombas, got its start from Shark Tank and today is one of the show’s most successful brands. This company offers simply everything you could want from a good pair of socks. The honeybee-inspired motto, “Bee better,” is sewn into every pair of socks as not just a movement to raise awareness for the endangered bee but also as a reminder that even the smallest actions can work together to have a big impact, like little bees building a hive. That’s why this brand donates one pair of socks to the homeless for every pair that’s purchased from their website. These high-quality, moisture-wicking compression socks might come in a variety of comfortable and stylish designs, but their mission is truly what sets them apart from competitors. As of 2018, over 5 million pairs of these durable socks have been donated to those in need. Ready to change the way you think about socks? Check out Bombas! It might look like any other fitness balance board, but there’s a reason this product made over $1.5 million dollars during its first 48 hours after Shark Tank. The investors new this product would be an immediate hit and a highly marketable item, with its simple, eye-catching design. So what sets it apart from other fitness boards that you can work out on from the comfort of your own home? That’s the unique twisting motion that the Simply Fit board lets users take advantage of. Other boards are great for squatting, lifting, or simple exercises involving balance, but the Simply Fit board takes that to the next level, allowing users to twist from side to side and engage their core muscles more fully. The Simply Fit board lets you work out your legs, glutes, abs, and even back or arm muscles if you pair the board with weights or other exercise tools. Plenty of headphones exist that will let you listen to whatever music or podcasts you want, but only the highest-quality earplugs can truly reduce the noise that surrounds you. These Shark Tank earbuds have an ultra-comfortable and portable design. You might not realize it, but loud noises can be damaging to your ears over the years! These decibel-reducing beauties will protect your ears without compromising on the quality of the sound by filtering out specific sound wave frequencies rather than focusing on complete noise cancellation. Whether you have some problems sleeping due to sensitive ears or just want to enjoy a night without having to listen to your obnoxious neighbors, these easy-to-use and affordable Vibes might be just the product for you if you want to reduce sound volume while still hearing clearly. They even come in a variety of size options including small, medium, and large, so you can ensure you’re getting the most comfortable experience possible. This little beauty is another one of those items that makes it easy to give back to the environment. This cleaner was designed to be as gentle and natural as possible while still being an effective and powerful cleaning agent, cutting through grease and stains while leaving only a light scent behind. Since the initial $400,000 investment from Shark Tank – accepted from Lori Greiner, although all five of the sharks offered a deal – Better Life has expanded to include a variety of different sizes, scents, and even entire products, such as cleansing wipes in addition to sprays. The company remains committed to its eco-friendly cause, with a solar-powered manufacturing facility and recyclable bottle mold. The company has expanded across Canada, Europe, and even parts of Asia, and is not only sold online but in select retailers including Target and Marianos. If you want a deep clean that’s not only effective but safe for your family and the planet, Better Life all-natural multipurpose cleaner is definitely for you. Have you ever heard of soap berries? They might sound too good to be true, or maybe just scientifically impossible, and a lot of viewers of Shark Tank raised their eyebrows at this prospect. These fully organic, cruelty free, and skin-safe nuts can replace those plastic laundry detergent pods or dangerous liquid detergents. All you need to do is place a handful (4-5, depending on the size of the load) of these soap berries in the included cloth bag and toss it in the washing machine on warm. In fact, each nut is reusable for up to 10 loads, depending on the size of the load and soil level. These soap berries naturally produce a gentle and odorless cleanser that can take even your rankest laundry and have them as fluffy and as good as new! Also available in a trail-size box with only 10 nuts if you’re skeptical and don’t want to invest the money. This sippy cup is specially designed to help small children learn how to drink out of straws. The ultra-soft straw is safe for a clumsy child and has one weighted end. The heavy end of the straw ensures that it always falls in the liquid, so no matter what angle the child tilts the cup, they’ll always end up with a mouth full of good drink instead of gulps of air. The straw is flexible and has no valve, making it easy to clean and ensures the child won’t be inhaling any extra air. The phthalate-free cup always features removable handles so you can keep it in car or carriage cupholders for easy travel. Parents have been raving about this useful product ever since it debuted on Shark Tank. The Lollacup comes in a variety of bright colors and is extremely affordable, holding up to 10 ounces of liquid. This product may look funny, but it’s all business. Trimming and grooming facial hair can get messy, and if you’re a perfectionist, it takes long enough to get the perfect trim even excluding the time it takes to clean up those trimmings so they don’t clog the sink. This one-size-all adjustable bib comes with suction cups to stick to your mirror, offering a generous surface area to catch fallen hair trimmings. It even packs in on itself to form a self-folding, portable pouch, and comes in white and black so you can be sure to pick the right contrasting color. Beard King sales grew by 400% within just one day of their Shark Tank appearance, and today, the Beard King line has even expanded to include specially-made brushes, wallet-sized combs, beard oils, and more, including some fun apparel. Plus, the website offers free shipping after a purchase of only $40! Tired of having to keep pushing your glasses back into place? Whether it’s rain, sweat, rigorous physical activity, or even the wind, every glasses-wearer knows the unfortunate reality of how it easy it is for your glasses to slip down your nose or even fall off entirely. Nerdwax, created from beeswax and other natural cosmetic ingredients, creates a layer of friction between your skin and the glasses themselves and can be easily rubbed onto the nose pads of your favorite pair of sunglasses or your everyday readers so you never have to worry about them slipping off ever again. The creative balm made waves from glasses-wearers who watch Shark Tank, and with the success this brand has made since then, they have developed a wider range of products including special microfiber cloths to clean glasses lens, glasses-friendly carrying cases and zip pouches, stickers, and even t-shirts. Try it for yourself! Many people don’t realize that their smartphones are a breeding ground for bacteria! As long as you wash your hands regularly, you shouldn’t have anything to worry about, but the bacteria buildup may cause irritated skin, acne breakouts, or other issues. The PhoneSoap sanitizer uses UV rays to destroy 99.9% of the bacteria that’s all over the screen in only 10 minutes, and you don’t even have to remove the phone case for the cleaning effect to take place. You might have heard about UV damage to skin and eyes, but that’s what the closed case of the PhoneSoap environment is for – to contain the rays. After getting the initial investment from Shark Tank, this brand has been able to expand their collection to wireless systems, upgraded models that can accommodate a variety of smartphone brands, tablets, and cameras, cleaning pads, phone cases designed to protect against bacteria, and more. You don’t have to worry about those wool, cashmere, merino, or blended garments that you’ve accidentally shrunk in the dryer. Did you know that the proteins that make up the long, straight fibers of wool or cashmere can be broken or disrupted when heated, causing shrinkage. The Unshrinkit solution allows those bonds to relax again so the fibers can retain their original look. Simply soak your chosen article of clothing – socks, jackets, sweaters, gloves, or anything else – in a full sink or tray of warm water with the contents of the solution for 30 minutes, rinse with cold water, and squeeze out any excess liquid. Then you can simply hang the garment up to dry or simply lay it on a towel and wait. It’s been a hit amongst consumers ever since its original investment from Shark Tank. With a 100% satisfaction guarantee, Unshrinkit might just be worth a try!